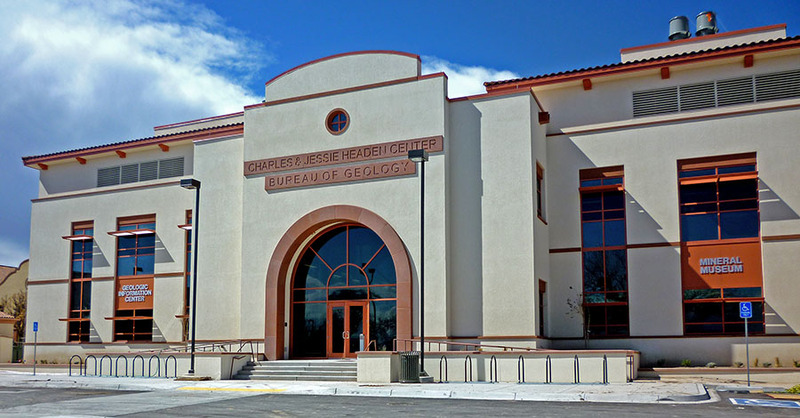 Established by legislation in 1927, the New Mexico Bureau of Geology & Mineral Resources is a research and service division of New Mexico Tech. The Bureau is a non-regulatory agency that serves as the geological survey for the State of New Mexico. The Bureau moved into its new home, the Charles and Jessie Headen Building in 2016. The Bureau's public spaces include the Mineral Museum, a bookstore, and the Geology Information Center.